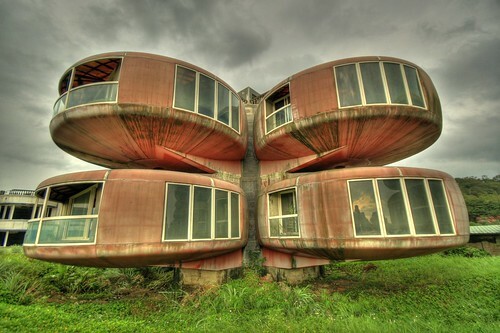 UFO houses (aka pod houses) were a set of abandoned pod-shaped colourful buildings in Sanchih (or Sanzhi), Taipei, Taiwan. In 1977-78, owner of a local rubber company came up with an idea of creating a vacation resort township. 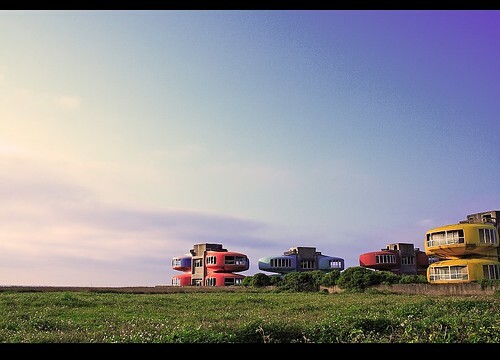 The houses were designed like a grouping of pods or UFOs. Unfortunately his company went bankrupt in 1980 and the project work was stopped. Efforts to revive the project didn't succeed. There were several accidents which many superstitious said were due to damage to some Chinese dragon during construction activities. Many also felt that the area was haunted. End result was that the entire township was abandoned, left uncompleted and soon became a ghost town. 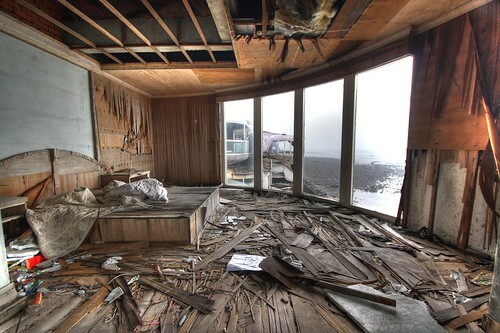 However due to its unusual architecture and reputation as a ghost town, its fame soon spread and it became a tourist spot but the decay continued. 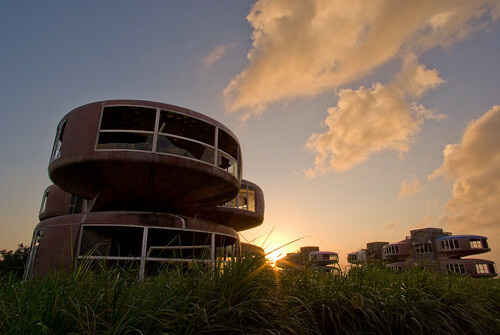 Ultimately the buildings were scheduled to be torn down in late 2008, despite an petitions to retain one of the structures as a museum. It is understood that this was not agreed to and work on demolition began on 29 December 2008. 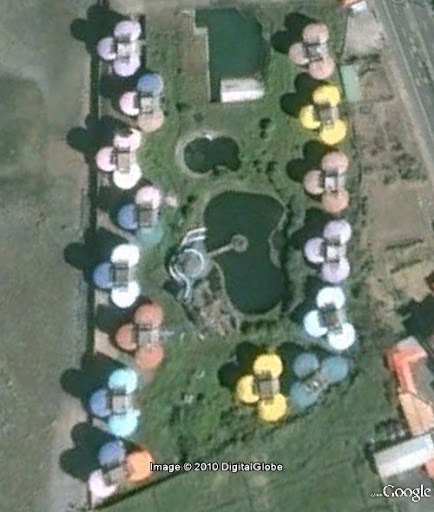 Google Street View of the area taken in 2009 doesn't show these structures. Apparently all of these UFOs have gone now. nice pictures. 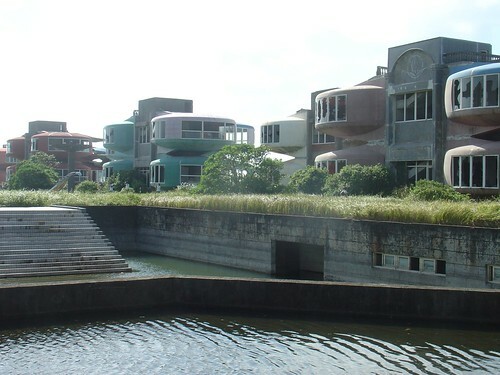 i used to drive by those houses all the time when i lived in taiwan. too bad they're gone. i never even went inside to take a look.